Will look at all offers! Extremely Motivated! Priced below Assessed Value. Large Practical Floor plan! This is a great family home! 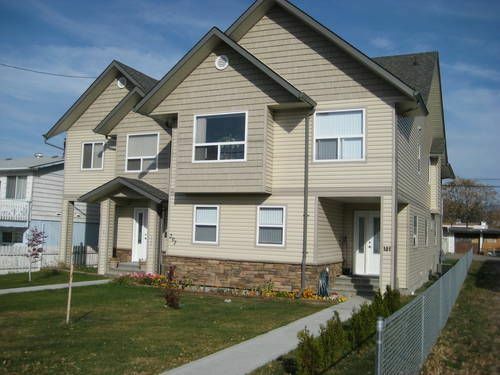 4 bedroom, 3 bathroom ½ duplex in a very central location walking distance to shopping. Over 2200 sq feet! Built in 2007 this home is Bright and spacious. Master bedroom has three piece ensuite and a walk in closet. Large room sizes, and lots of storage! Single garage with lane access and lots of additional parking. Vaulted ceilings in Living room as well as a gas fireplace. Large kitchen with stainless steel appliances and separate Dining room as well as eating area. Call for your personal showing today! All measurements are approximate.